Copyright ONE STORY MUSIC 1979-2013 All rights reserved. "There are certain names that are synonymous with Gospel music. In my opinion, Gordon Jensen is one of those names. When he writes and when he sings, he makes a solid Gospel statement that I enjoy listening to. It's always a pleasure to have him on TLN in Chicago." 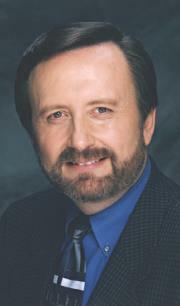 "Gordon Jensen stands out as a writer and singer that God has anointed to minister to the hearts of people everywhere. His songs address themselves to the deepest part of the spiritual man and his unflamboyant but Christ-exalting delivery make him a genuine blessing." "Gordon, "Desert of My Days" is great! I think it's your best..... You're a fine writer!" "Gordon has long been one of my favorite singers and songwriters. His great songs have blessed my life time and time again. I have recorded several of his songs for our Revivaltime broadcast, and our music director Cyril McLellan has used many more with our concert choir. Gordon has been a guest in the church I pastor in Fort Myers, FL. He has a standing invitation to return whenever he can. Our people love his music and we appreciate his life!" "Gordon, God has richly blessed you with a beautiful gift to use for His glory. We pray that He will continue to open doors for you!" "Through the years some of my favorite songs have been written by Gordon Jensen. I believe Gordon to be a man called of God to write and sing songs that inspire, challenge, and lift up the church today." President Crossroads Christian Communications, Inc.
"Gordon Jensen, singer, songwriter, Christian gentleman has been a great blessing to our network television audience across Canada." "As one of the most creative songwriters in Gospel music, Gordon has combined a background of solid theology with both human and spiritual sensitivity to reach out to believers giving them hope and joy, while ministering to all levels of human woundedness." "Listen to a few of his songs. Only a man of God could write and sing those words! It has always been a pleasure to work with Gordon Jensen. He demonstrates the highest degree of professionalism and talent." " I have known Gordon Jensen for many years now. I have had him as a guest at my church. Gordon is an outstanding songwriter, singer, and speaker. He is also a man of great integrity. He loves souls and has dedicated his life to the work of the Lord."